Hope you’re having a good week so far 🙂 I always plan my meals for the week on a Sunday so I can get organised and buy all the necessary ingredients to keep me going for the week ahead. I used to have pasta every week, but now pasta is a real treat for me! I don’t have a gluten intolerance but I have always wanted to give gluten free pasta a whirl to see what the difference is. I have tried a few brands now which I didn’t enjoy, so I went to social media to get some advice. Rizopia Gluten Free Pasta (http://www.rizopia.co.uk/) was brought to my attention and I thought okay lets give this brand a go. I was lucky enough to win one of their twitter competitions and I was absolutely over the moon. 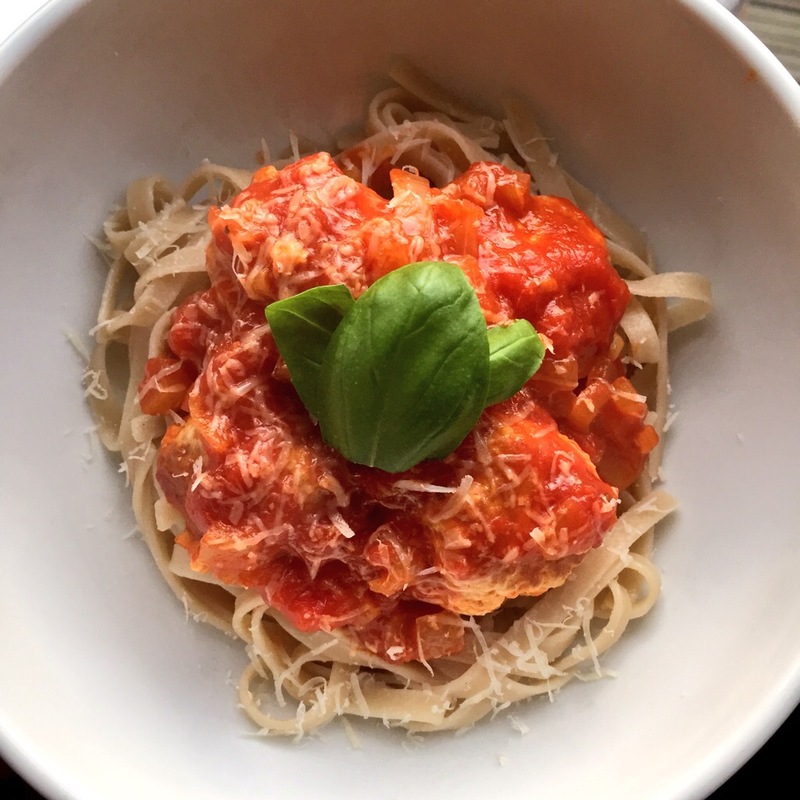 I have had their pasta a couple of times now and it is safe to say that this is the best gluten free pasta I have come across. I think it’s that good, I told a guy buying loads of gluten free pasta from another brand in Wholefoods that he’s choosing the wrong one and told him to go for Rizopia instead! Which he did 😀 haha. 8. In the meantime, boil the kettle and lets start cooking your pasta! Cook the pasta in a pan of boiling water for 7 minutes. Add the basil leaves to the meatballs, stir and turn off the heat. 9. Once your pasta is Al Dente, drain the pasta and pop into a bowl. Pop a few meatballs on top, pour some sauce over the top, decorate with basil leaves and grate some parmesan on top. Magnifico! 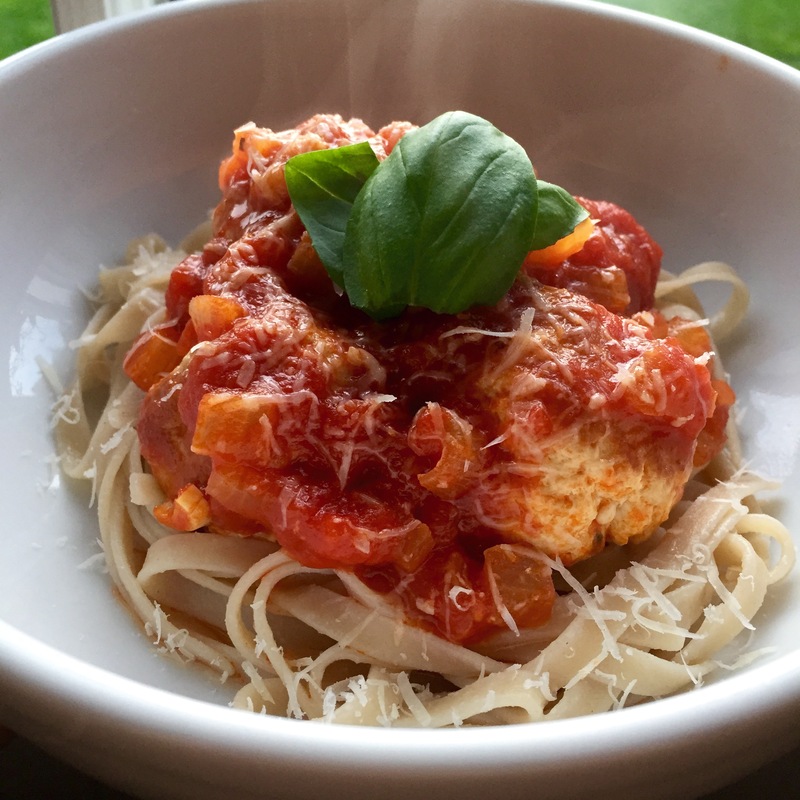 This entry was posted in Diet, Fitness, Food, Health, Lifestyle, Recipes and tagged comfort food, cooking, Fettuccine, gluten free, healthy, healthy eating, homemade, meatballs, organic, pasta, recipe, Rizopia, tomato sauce, turkey. Bookmark the permalink.